Today's printing and copying technology has evolved to the point when documents can be produced almost instantly. Copy machines can produce hundreds of reproductions within mere minutes, not sacrificing quality and maintaining the look of the original document. 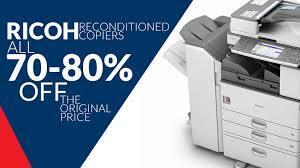 If your business has been using an older model copier, consider upgrading to a new, modern copier that has the ability to work more efficiency and streamline your document printing process. There are many brands of copying and printing machines, and the competition between them has driven prices down, passing the savings on to the consumer. Nowadays, copiers offer unprecedented functionality at prices that were unheard of ten years ago. When choosing a copier for your office or business, consider the many ways your employees will use its functions. Digital copy machines optically scan the original document and convert it into a digital format before being processed for printing. Older, analog copiers optically transfer the image from the original paper to the copy paper, via thru several mirrors and a lens. When it comes to speed and efficiency, both analog and digital copiers can quickly produce a multitude of documents. However, most new digital copiers can offer multifunction processes, such as faxing, scanning, and printing. The digital format allows for cross sharing amongst different media and can streamline your office workflow, and digital copies of documents will decrease the amount of paper you use for printing. Black and white copiers have been a standard and popular choice for high-volume text document copying. Black toner costs less than color toner, bringing your overall cost-per-copy down. If you need the impact of vibrancy though, color copiers can help you make a great impression with high-quality, crisp color documents. 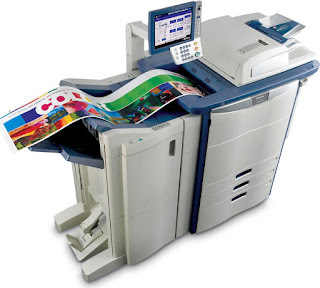 Color copiers are essential if your business needs to make a statement with presentations, brochures, signs or flyers. Graphic color copiers are available for businesses that regularly produce comprehensive graphic documents where the image is an essential part of the print. Color copiers are digital and work much like a laser printer, transferring scanned information to a charged drum by laser. The toner adheres to the charged part of the drum and is heated before being transferred to the paper. Higher-end color copiers can produce duplications quickly, while the less expensive models need to take multiple passes with the toner to achieve sharp images and colors. Standard features on color copiers include image centering, border erasing, color balancing and color adjustment. Higher end copiers offer additional functionality, including colorizing, which allows you to make color copies of black and white original documents by selecting a color for a designated design or area. 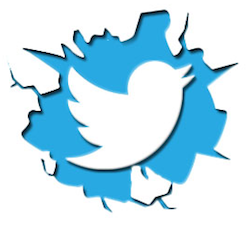 However, most users have access to image editing software that can allow them to manipulate the image and reprint it before it is duplicated. Take into account all the features your employees will need in an office copier before making your purchase. 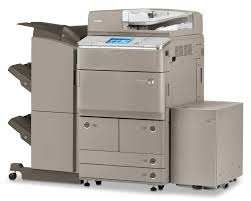 Getting a copier service contract when buying your first office copier or switching service companies are both big decisions. You should do the research on the different machines. Try to see if you can find out the reliability record of the particular makes and models that you’re interested in, by not only talking to sales people, but also service reps, who service the equipment. 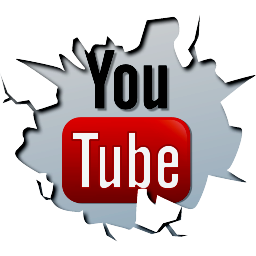 Research to see if the makes and models have won any awards; then figure out what options you need and whether or not you can justify the cost to get them, and try to identify if the company will provide you good service for the price quoted. Here are 3 good things you should inquire about when talking to your sales representative. First, are all the technicians trained on the models you are interested in and can you see proof? You'd be surprised how many companies have only one or two technicians actually trained on a particular machine. Also, how can they guarantee a response time with only two techs trained on that model? Most, if not all manufacturers provide trained technicians with a certificate when training is completed. Service managers should have a copy of it on file as well as access to their transcripts. The transcripts show everything that a technician is trained on. Second, do they guarantee a technician on premise response time? Most companies average a 4-8 hours response time. That is the time when a technician actually walks in through the door. 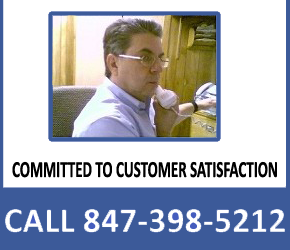 Some companies state that "response time" means when you get a phone call from the technician letting you know that they received your call. Make sure you know what their definition of response time is, so you know what you’re actually agreeing to and what their guarantee is. Third, what happens if they guarantee a technician through the door in 4-8 hours and he doesn't show up? Do you get something for free? Do you get some sort of refund or credit? Do you get a loaner machine, if your machine is down? If not; what's the point of the guarantee? When you need copying done on a massive scale you need to turn to large format copiers to do the job. 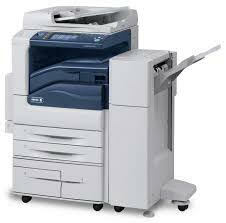 A normal sized copier usually has a maximum copy size of 11x17 which is good enough for everyday needs at the office. Anything larger required, then you will probably have to use a large format copier to carry out the task. A wide format copier does not use stacks of paper, but instead it uses a roll of paper which can handle various large print formats. Wide format printers are typically used for building plans and design drawings by designers and architects. Other uses include printing; signs, banners and GIS maps. Great for large graphics, wide format copiers give you an edge over the competition at presentations and business meetings. Wide format copiers differ in size and function. There are machines that do a variety of jobs and act as copiers, printers, and even scanners. Firstly; you should decide what functions you need, and list your primary usages, before buying a copier. Is sharp imaging and colors your number one priority? 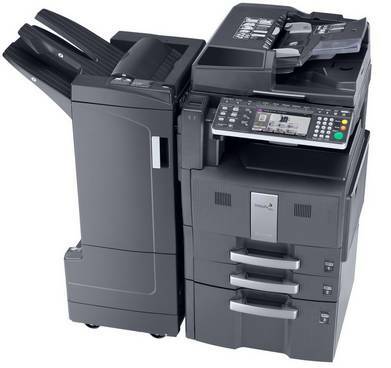 Or do you just need a fast copier that can produce volume quickly? Also, consider getting a multifunctional machine which can do more than just copy. Purchasing a machine that can handle various jobs will take up less space and save you money. An all-in-one copier will give you the option to print from your computer or direct from a memory card. Furthermore, it will save you the headache of having to configure lots of separate machines that an all-in-one machine can do. Whether you're going to purchase an all-in-one, or separate machines you'll need a decent amount of space. Wide format copiers are huge and can take up considerable space. Make sure you have enough room to install one first. For correct installation, it's wise to get a specialist to avoid making any mistakes. 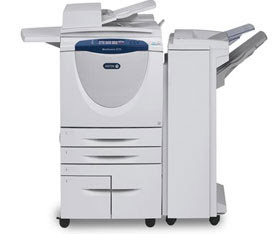 Canon, HP, and Xerox are all manufacturers of a range of large printers and copiers. In addition, they manufacture standard printers, copiers and scanners. You might want to think about other options since wide format printers are highly expensive. Outsourcing your large copying or printing might actually be a cheaper option. You should also consider the recurrent expenses involved with operating a printer. We all know how much printing toner can cost. Two other expenses you should calculate are paper and routine maintenance. When you tally up all the costs, it can be quite a shocking figure and perhaps enough for you to give up on buying one and just find a company who can take care of your wide printing. You can find a printing shop that is capable of wide printing in most towns. For companies that pride themselves for getting things done timely and speedily, then perhaps outsourcing isn't the solution. You never know what's going to happen when you rely on another company to do a job for you and if you have important clients to satisfy, it may not be a risk worth taking. Sometimes to make it as a business, you have to spend money and out-do other companies in terms of speed and quality to survive in this market today.